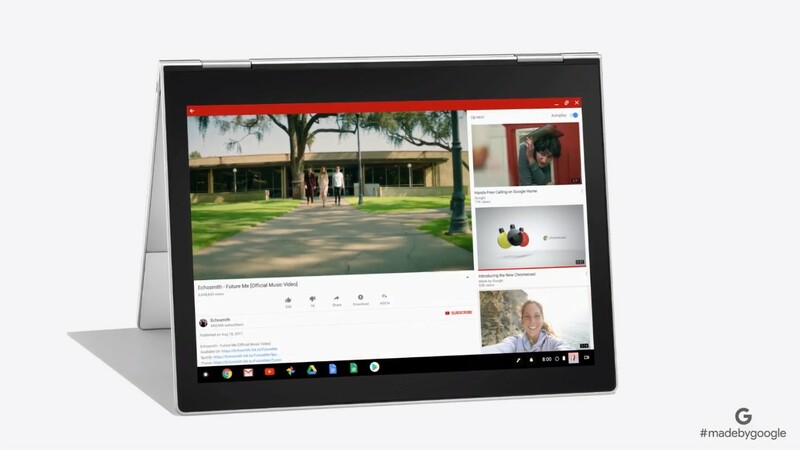 With Android apps on ChromeOS in full-swing, as it has been for the last while, it makes complete sense that the Pixelbook is a 2-in-1 hybrid (or what some may call 4-in-1). 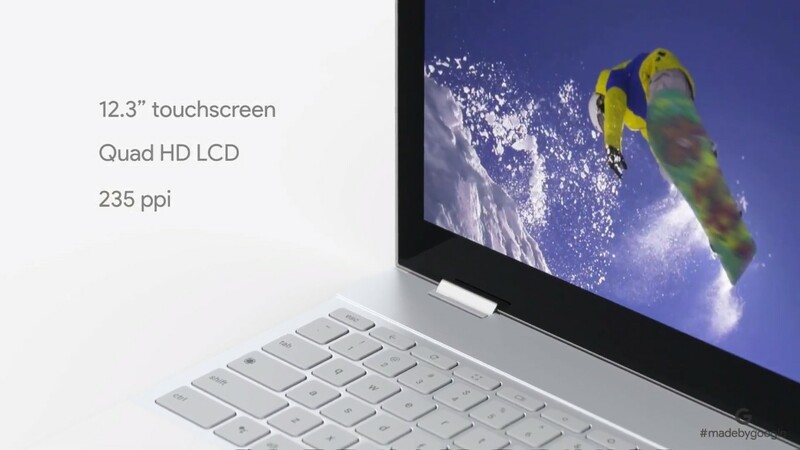 Google has also partnered with Wacom to provide the Pixelbook Pen, a stylus with Assistant built in that has 60 degrees of angular awareness, 10 milliseconds of latency, and over two thousand levels of pressure sensitivity. 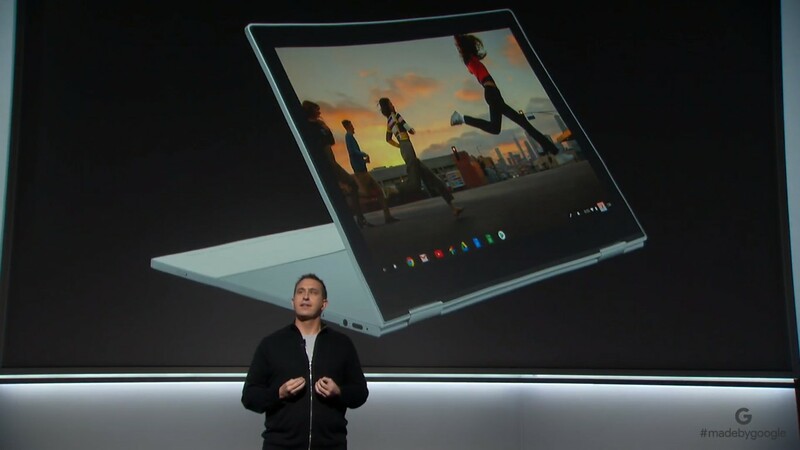 At 10mm thick, the Pixelbook weighs in at 1 kilogram, meaning you can haul it around without breaking your back (from the weight of your laptop at least). The 12.3" QHD LCD display is a bit smaller than I'd like, but it's still a good size. 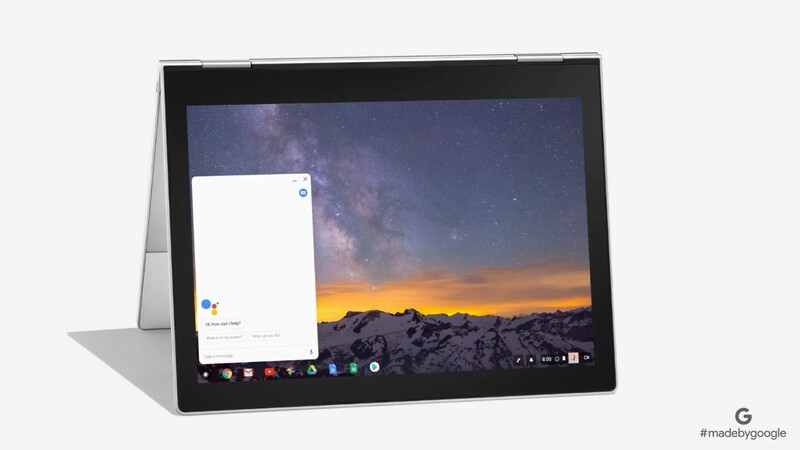 Assistant finally makes its way to ChromeOS and I need it in my life. 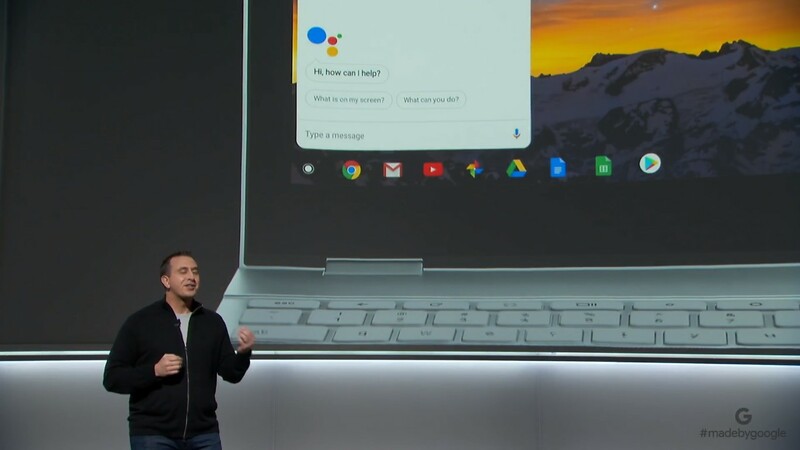 Not only is there voice recognition, as usual, but there is a dedicated Assistant key on the keyboard for those times when you're in class or a coffee shop and can't talk to your laptop. 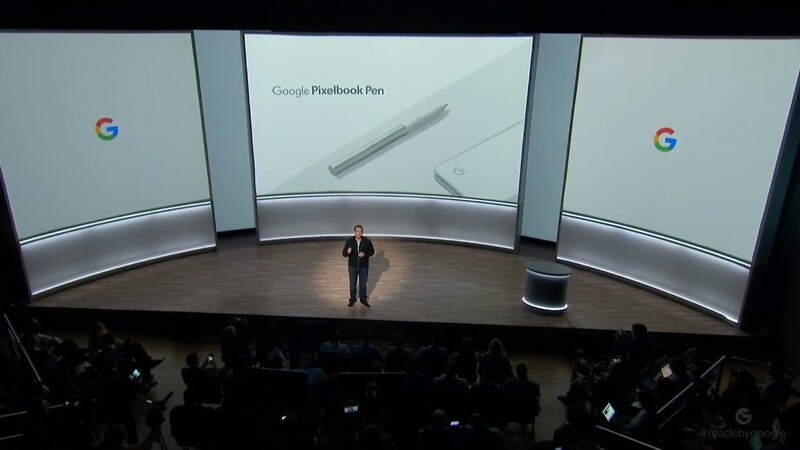 The Pen also acts like an Assistant trigger, letting you take actions on the things you see on the screen. 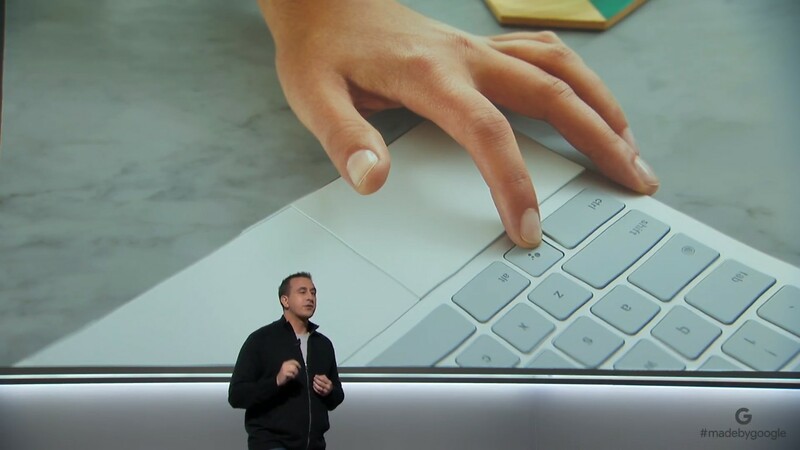 One other really neat thing that Google announced was what it calls Smart Tether. 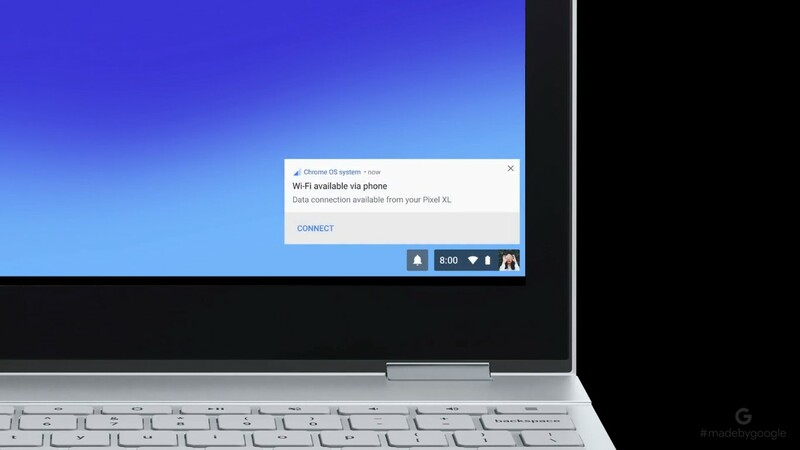 If there's no WiFi available, your Pixelbook with connect automatically to your Pixel phone to get a data signal — I'm sure there will be some kind of settings for those who are not on unlimited data plans. 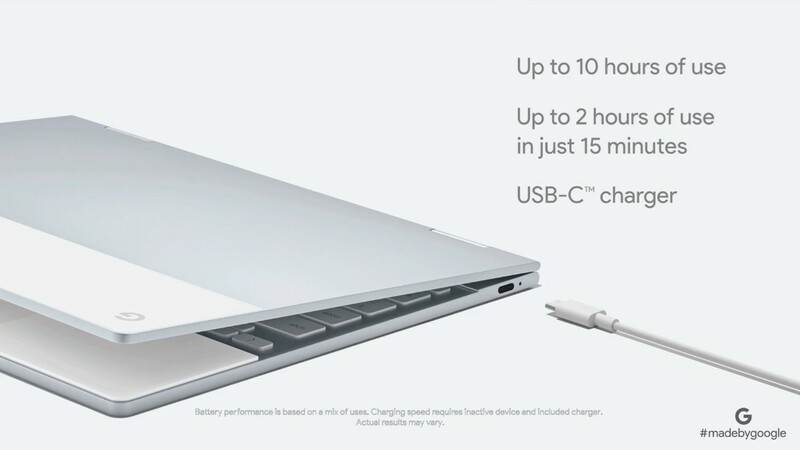 Battery life is quoted at ten hours of life, and it comes with USB-C charging. 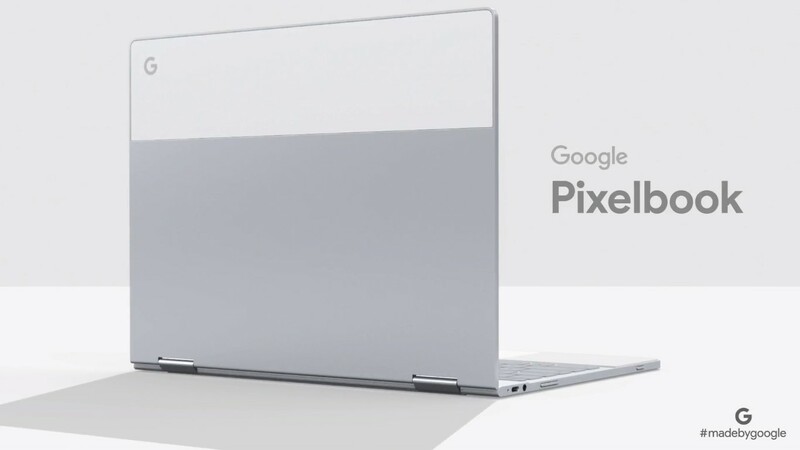 The laptop and Pen will both be available on the Google Store for pre-order today in the U.S., U.K., and Canada.